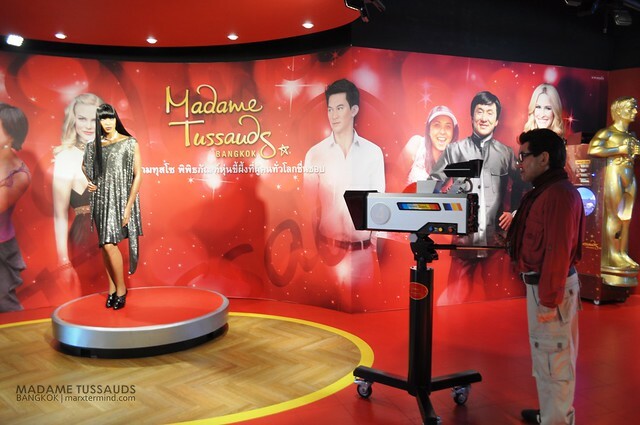 Thailand offers a different context in terms of tourism by visiting two of its frequented attractions in Bangkok, Siam Ocean World and Madame Tussauds. These attractions are far cry from what Bangkok is known for, temples and palaces, but surely you and your travel buddies will enjoy these attractions as they offer fun and delightful learning experience. 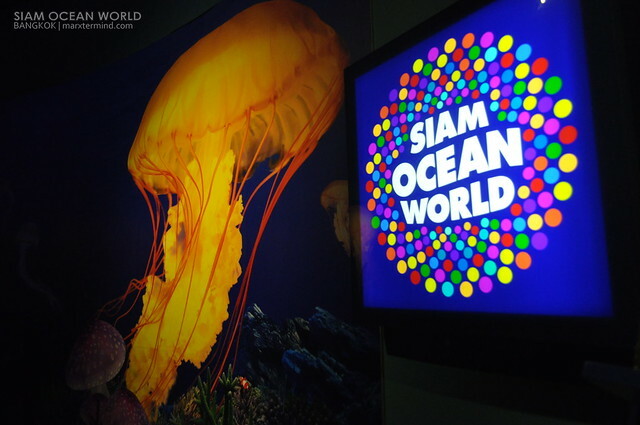 Siam Ocean World houses huge array of aquatic exhibits while Madame Tussauds Bangkok showcases your favorite Hollywood stars, local celebrities, sports heroes and, even heads of state. 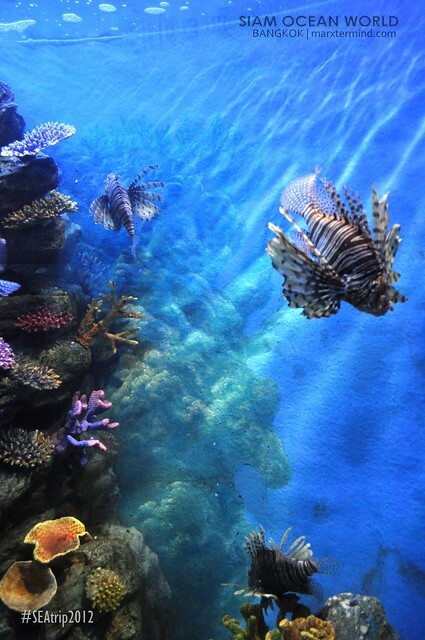 Definitely, a colorful adventure awaits you from these attractions. Prior to our trip we had already booked our tickets for these two attractions online. 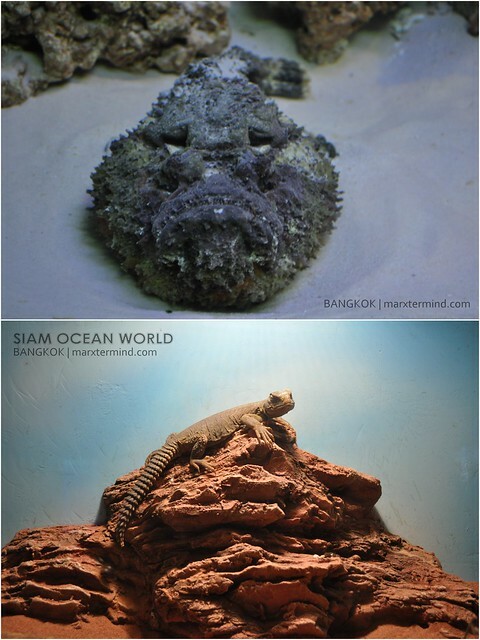 Initially, I planned on seeing Siam Ocean World only but when I found out that Bangkok has Madame Tussauds too, we bought packaged tickets for these two attractions which costs lesser than buying them separately. 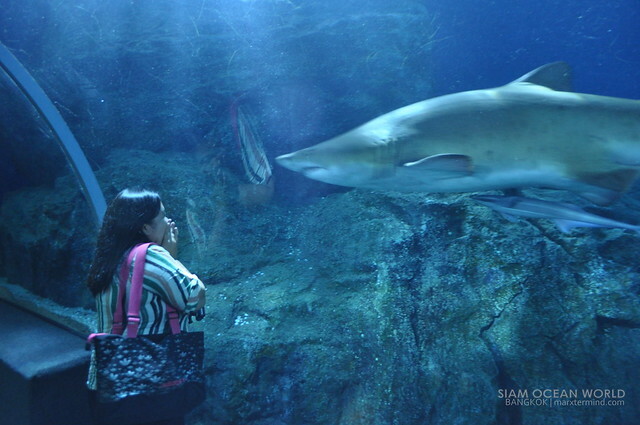 The ticket for these two attractions costs THB 1,360.00 for tourists. 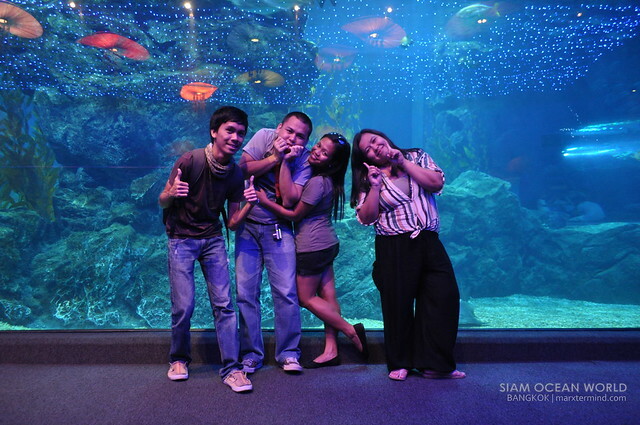 After we had visited the Grand Palace complex, we rode a tuk tuk going to Siam Paragon, where the Siam Ocean World is. Since it was already past 12:00 PM when we arrived in the area, we took our lunch first at KFC before heading to the actual theme park. 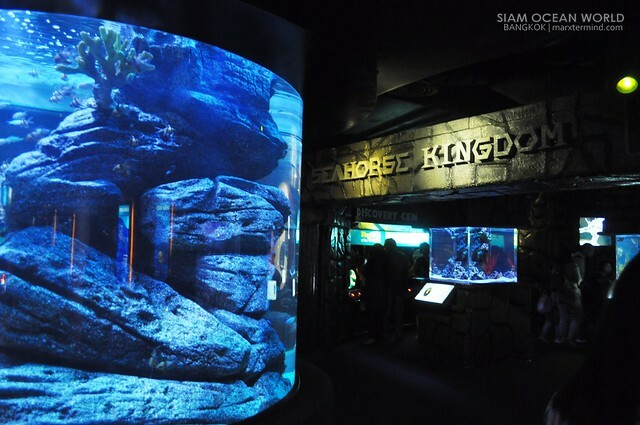 This attractions is said to be the largest aquarium in Southeast Asia that spreads across an area of 10,000 square meters. It occupies two floors in the basement of Siam Paragon, a shopping mall in Bangkok. We were greeted by different sea creatures when we entered the ocean world. 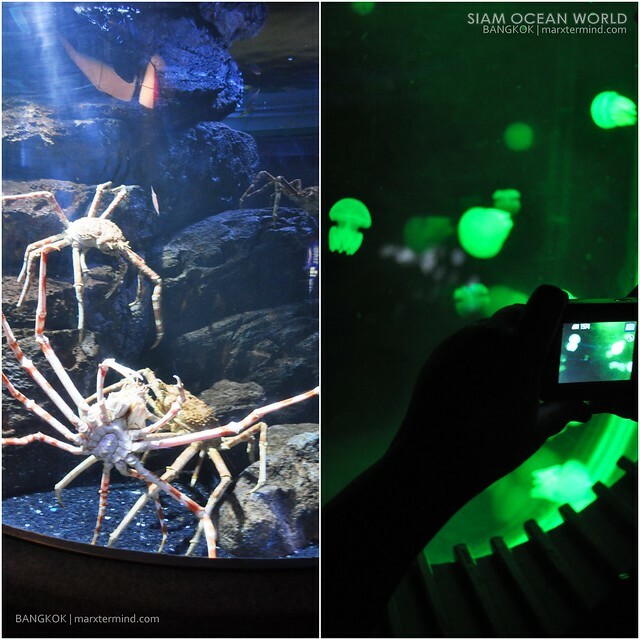 Seeing the world underwater has been made easier by Siam Ocean World. 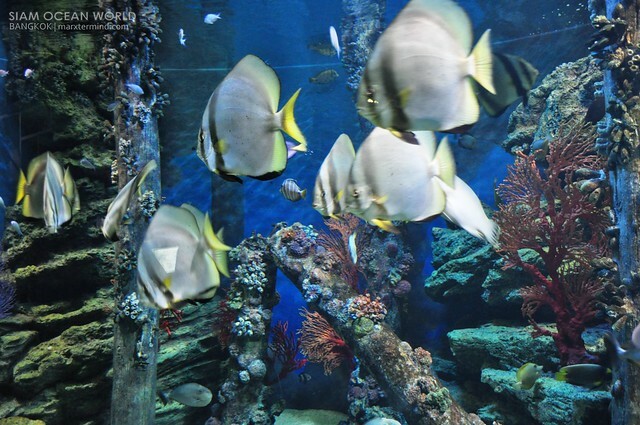 You don’t have to dive or snorkel for you to see the living creatures of the underwater. They really look fascinating but I think it is still better seeing such in their being. 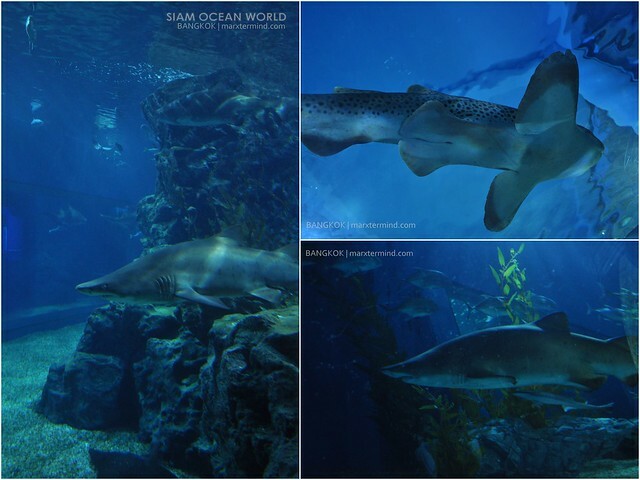 Since this exhibit displays the ocean world, sharks can be found in the area. In fact, one can go for a shark dive here. 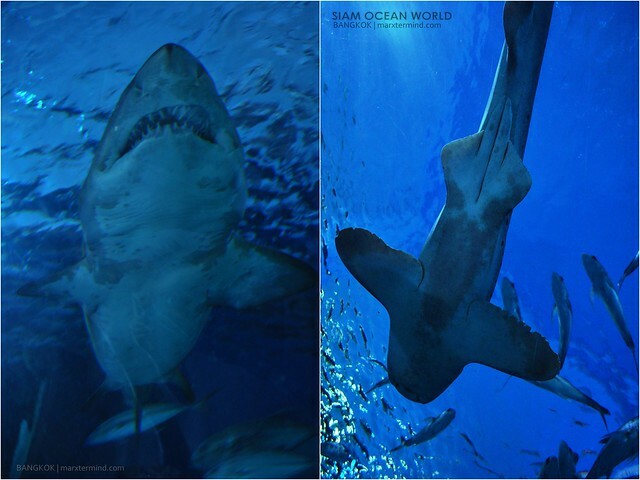 Would you dare to dive with one of natures’ deadliest predators? 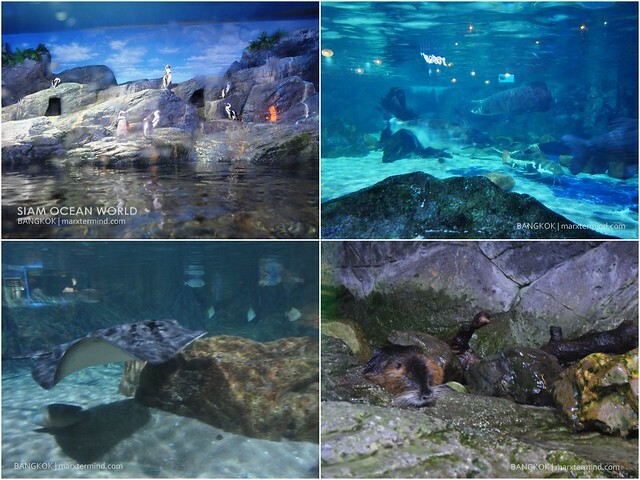 The indoor park also has its shows during the feeding time of some of those species but too bad we weren’t able to catch those as we have time to follow in our itinerary. …and other species that forgive me that I forgot their names. 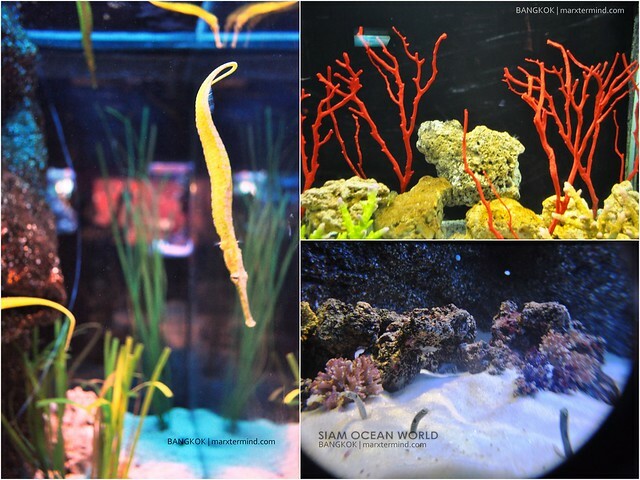 Me and my friends definitely enjoyed seeing the colorful world of the ocean and other wildlife. 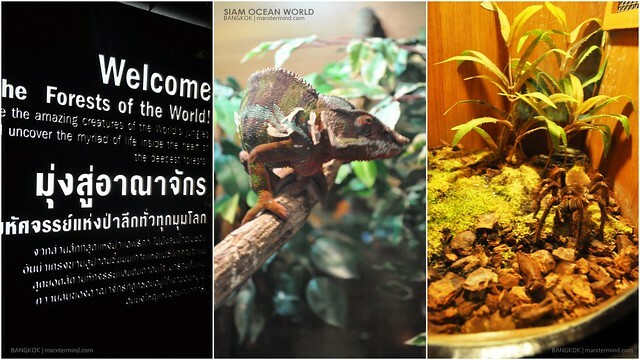 Certainly this place proved to be a very good center not only for amusement but for learning about different species and how to take care of them. 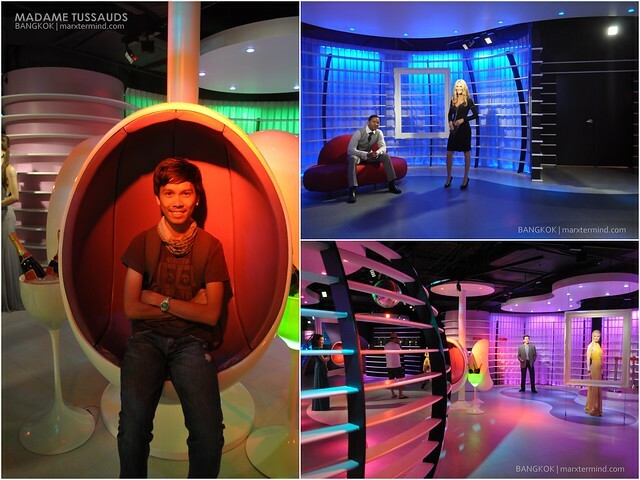 After spending an hour and a half inside the exhibit, we exited the place and moved on to our next destination, Madame Tussauds. We left Siam Paragon and rode the shuttle (just outside the mall) going to Siam Discovery, where the second attraction is. 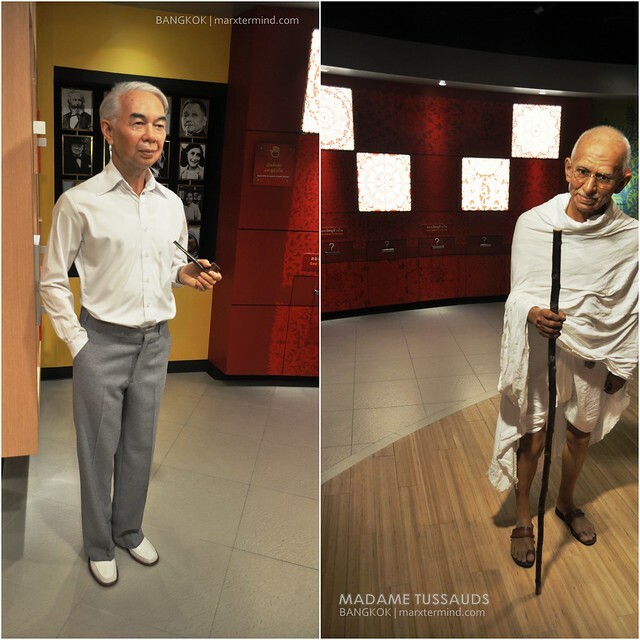 Madame Tussauds is a wax museum originated in London with now branches in a number of major cities around the world including Bangkok. 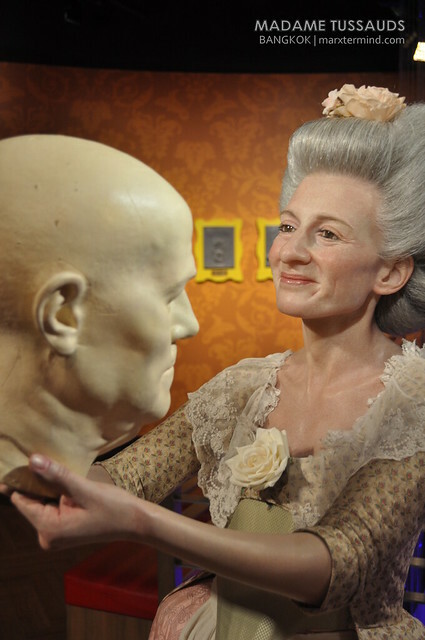 The museum was founded by the wax sculptor Marie Tussaud. 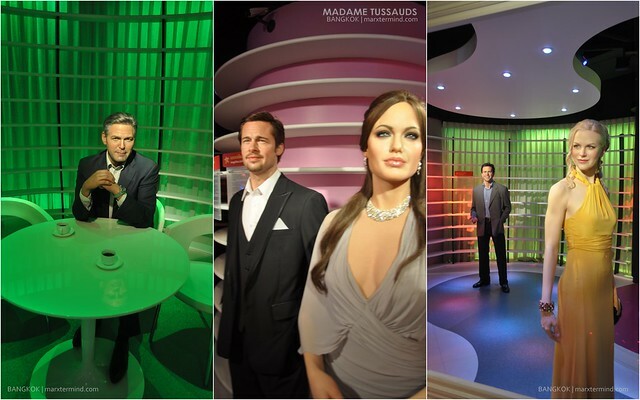 It was formerly known as “Madame Tussaud’s”, but it was said that the apostrophe is no longer used. 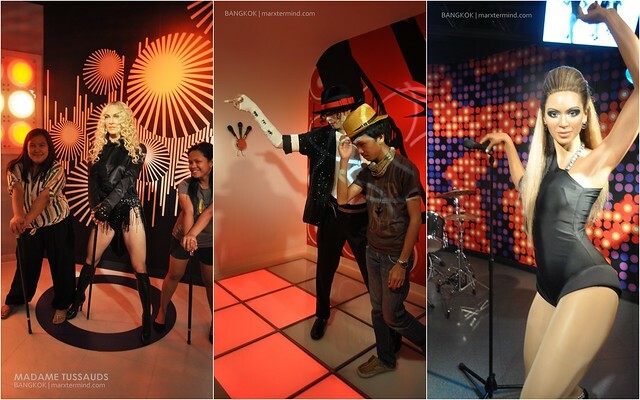 I learned about the wax museum when me and some of my friends visited Hong Kong but too bad we weren’t able to visit the museum as we were already running out of cash. 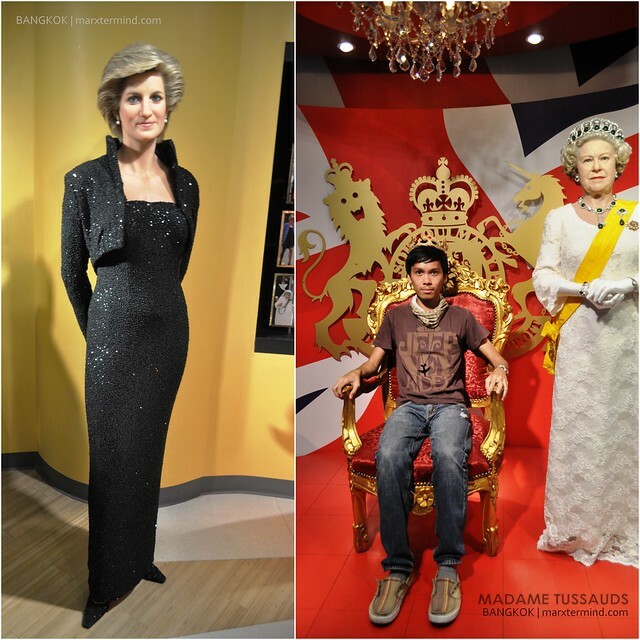 So when I learned that Bangkok has now its wax museum too, I ensure not to miss the opportunity and had this museum included in our itinerary. 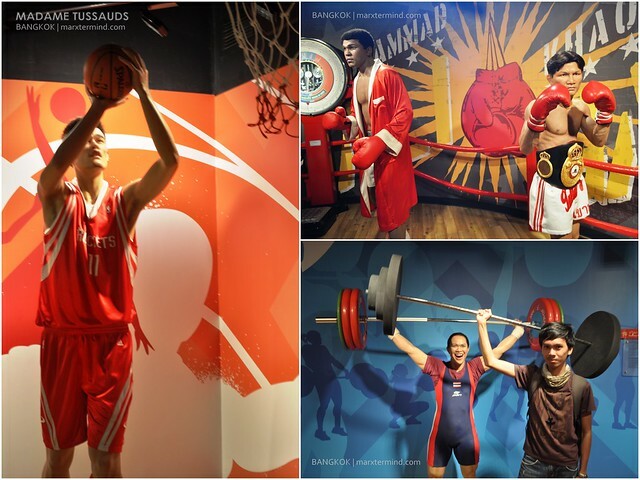 Now let’s get it started, presenting to you some of the wax figures inside the Madame Tussauds Bangkok. 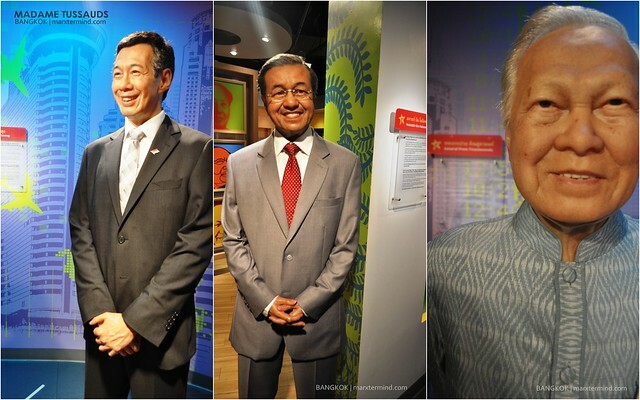 Here are some of the local celebrities, leaders and people from history, arts and sciences. M.R. Seni Pramoj was the Prime Minister of Thailand for four terms. Mahatma Gandi was the leader of the nationalist movement against British rule in India. 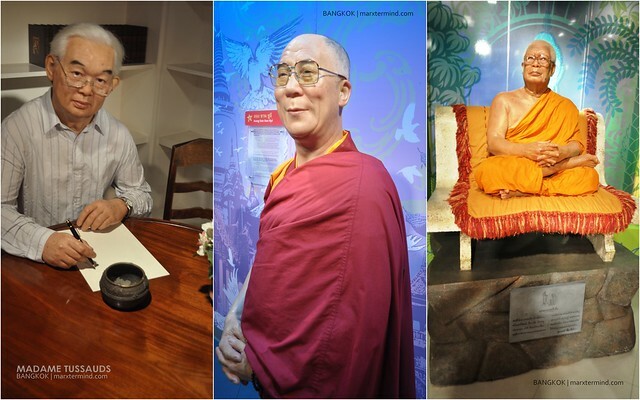 Dalai Lama was the head of State and the spiritual leader of Tibet, was born Lhamo Dhondrub and renamed Tenzin Gyatso as the 14th Dalai Lama. 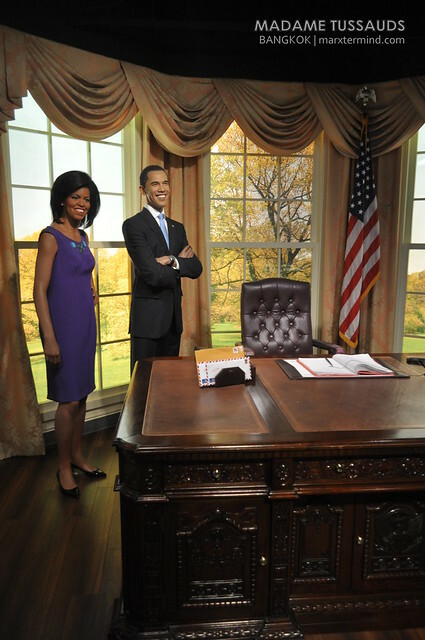 Barack Obama is the 44th President of the United States and the first African American to hold the office. Diana, Princess of Wales was the first wife of Charles, Prince of Wales, whom she married on 29 July 1981, and member of the British Royal Family. Queen Elizabeth II has been the monarch of 16 Commonwealth realms including the United Kingdom, since 1952. She is one of few British monarchs to celebrate her Golden Jubilee and marked the 50th anniversary of her accession to the Throne in 2002. Aung San Suu Kyi was a Burmese opposition politician and chairperson of the National League for Democracy in Burma. Pornthip Rojanasunand is a Thai forensic pathologist, author, human rights activist, and cancer survivor. Tata Young is a Thai singer, model, actress and dancer. 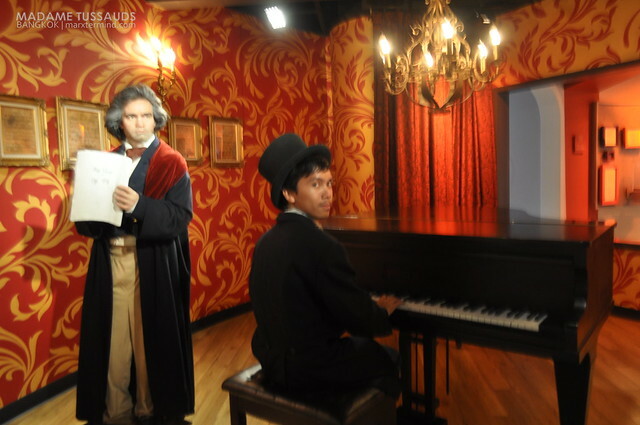 Ludwig van Beethoven was a German composer and pianist. 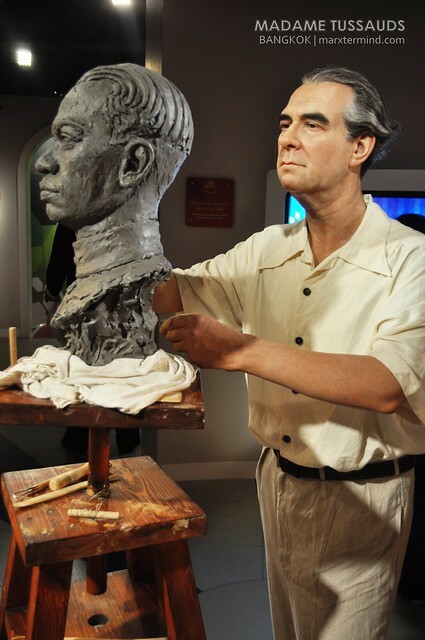 Silpa Bhirasri was an Italian-born sculptor who worked mainly in Thailand. He is considered the father of modern art in Thailand and was instrumental in the founding of today’s Silpakorn University. 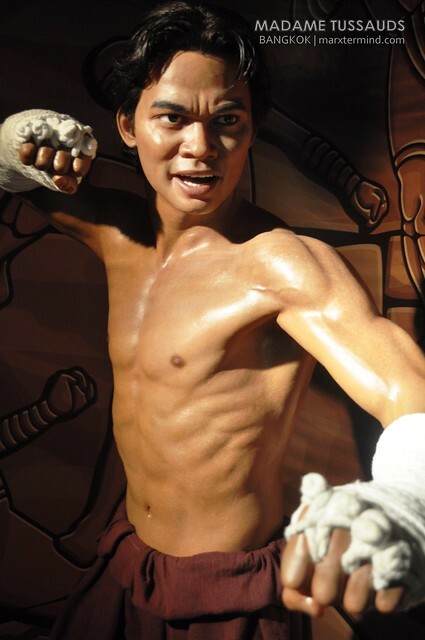 Tatchakorn Yeerum, formerly Panom Yeerum, better known in the West as Tony Jaa, in Thailand as Jaa Panom, is a Thai martial artist, physical educator, actor, choreographer, stuntman, director, and spent time as a Buddhist monk. Now let’s see some of the famous personalities from music and sports. Well to start it off, here are the king and queens of music. Madonna is an American singer, songwriter, actress, director, dancer, and entrepreneur. Michael Jackson was an American recording artist, entertainer and businessman; often referred to as the King of Pop. Beyoncé is an American singer, songwriter, dancer and actress. 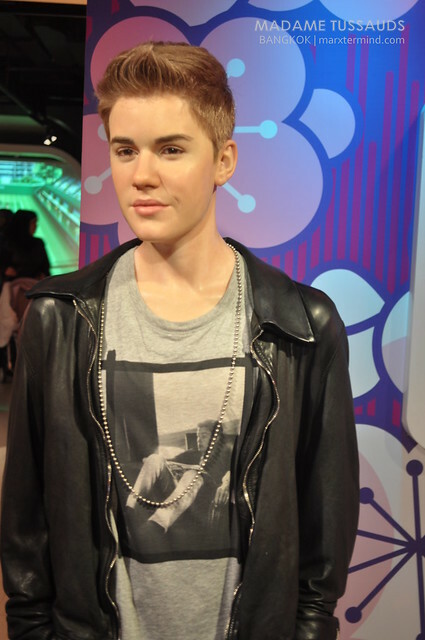 Justin Bieber is a Canadian singer-songwriter, musician and actor. Muhammad Ali is an American former professional boxer, philanthropist and social activist. Khaosai Galaxy is a former professional Thai super flyweight boxer and Muaythai kickboxer. Pawina Thongsuk is a Thai weightlifter. 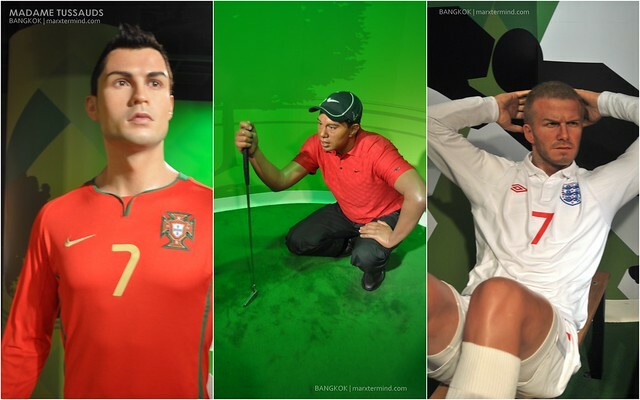 Not to miss three of the well-known international sports stars. Cristiano Ronaldo is a Portuguese footballer who plays as a forward for Spanish La Liga club Real Madrid and is the captain of the Portuguese national team. “Tiger” Woods is an American professional golfer whose achievements to date rank him among the most successful golfers of all time. David Beckham is an English association footballer who plays for Los Angeles Galaxy. Here are some of the Hollywood stars and celebrities and your favorite character. Pancake – Khemanit Jamikorn is the winner of the Thai Supermodel and Model of the World contests in 2004. Kate Elizabeth Winslet is an English actress. She was the youngest person to accrue six Academy Award nominations, and won the Academy Award for Best Actress for The Reader. George Clooney is an American actor, film director, producer, and screenwriter. Brad Pitt is an American actor and film producer. Angelina Jolie is an American actress and director. She was named Hollywood’s highest-paid actress by Forbes in 2009 and 2011. Nicole Kidman is an Australian-American actress, singer and film producer. Will Smith is an American actor, producer, and rapper. Julia Roberts is an American actress. 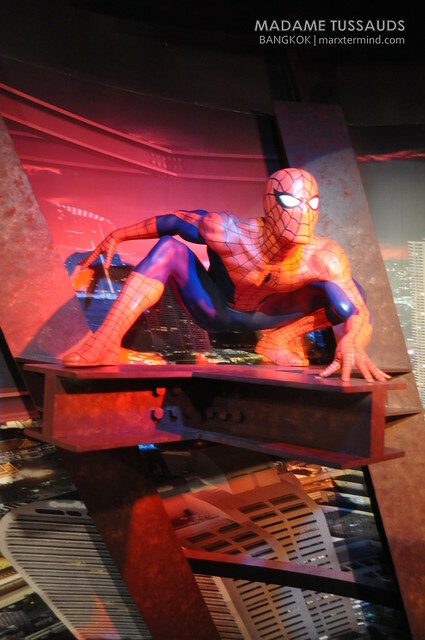 Spider-Man is a fictional character, a comic book superhero who appears in comic books published by Marvel Comics. “Johnny” Depp II is an American actor, film producer, and musician. And the Oscars goes to…. 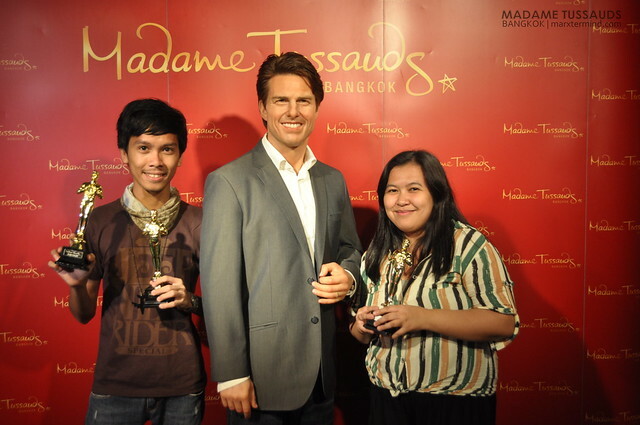 Tom Cruise is an American film actor and producer. He started his career at age 19 in the 1981 film Taps. 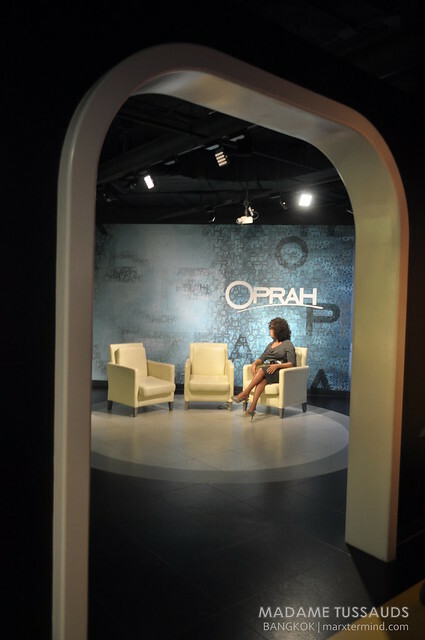 A Hollywood experience wouldn’t be complete if not getting to a celebrity interview with the one and only Oprah. 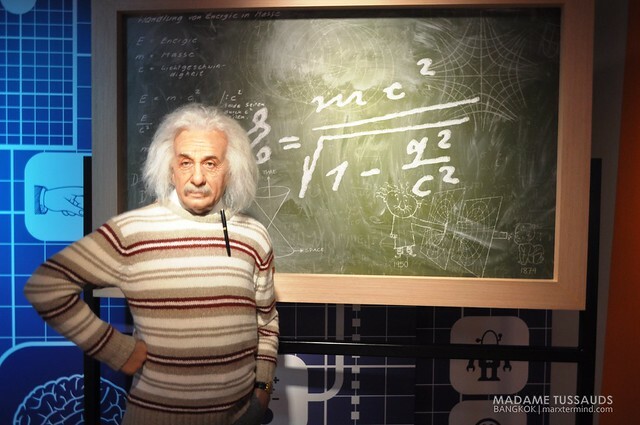 Without doubt, we were entertained with our visit in the wax museum; our photos showed it all. 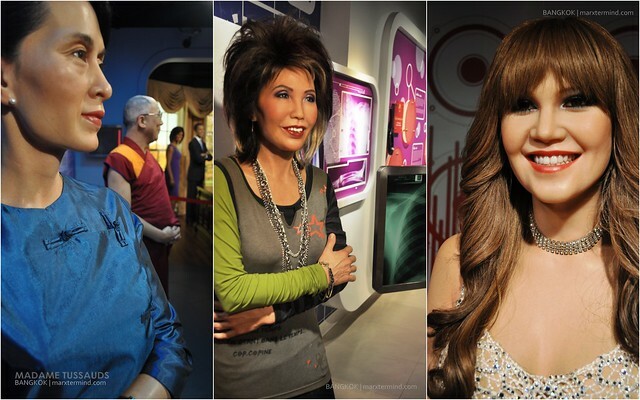 Credit: Facts about the personalities are from Wikipedia and Madame Tussauds. 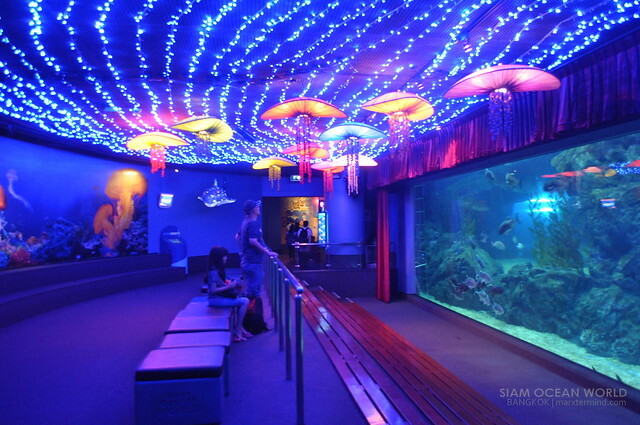 how to commute from khosan road to Siam Ocean World by bus? 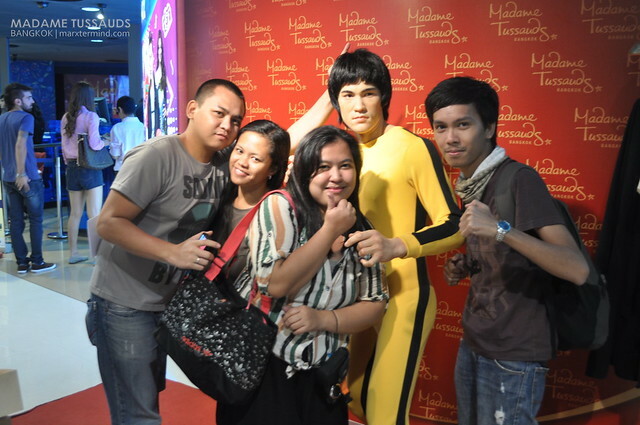 Didn't know na may Madam Tussauds din sa Bangkok! Kaso napuntahan na namin yung sa Hong Kong kaya ba iskip ko na yan next year pag punta ko ng Bangkok. 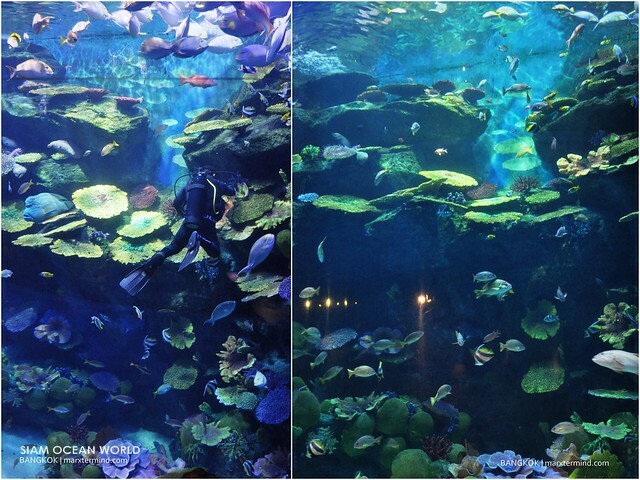 Pero yung Siam Ocean World talagang pupuntahan ko. Will bookmark na all your posts about Thailand! Yeeee excited na ko for next year! This is awesome Marx!! The only blog na may nakita akong nagpunta sa ganito sa Thailand! BOOKMARKED for my future Thailand trip, Well researched ka talaga, Idol na kita! !